When the first signs of spring start to show, I notice it in my cooking first. The flavors I use tend to brighten and recipes have an overall fresh feel. 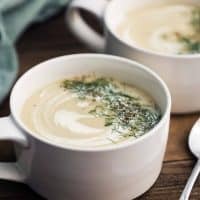 This sunchoke soup is the perfect example. 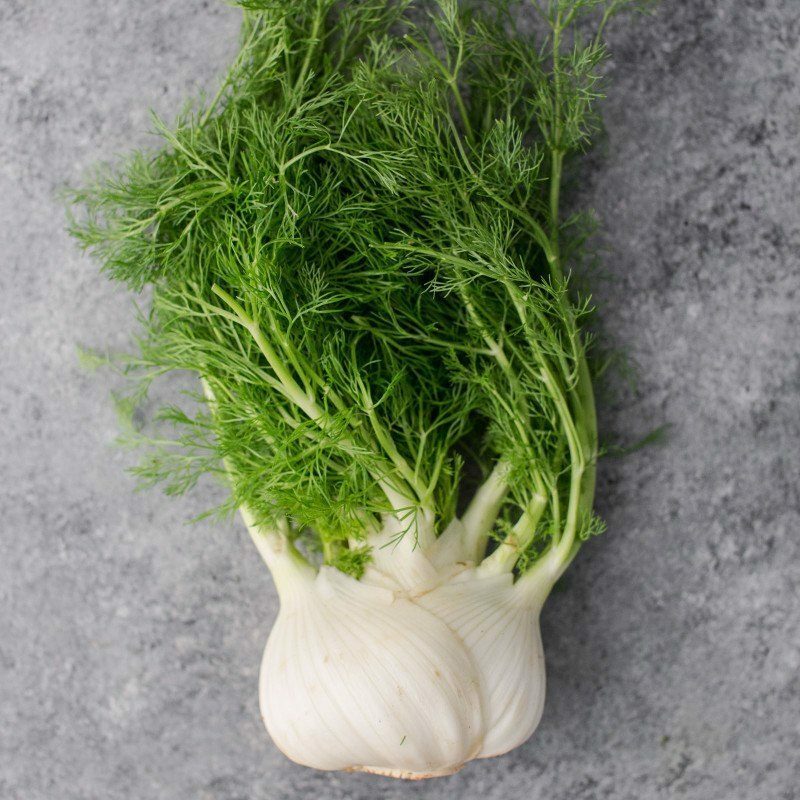 The mild, earthy flavor of the sunchoke blends well with the punch of fennel and high note from the lemon. Pureed together, these three items become a perfectly creamy soup for a just-warm spring day. 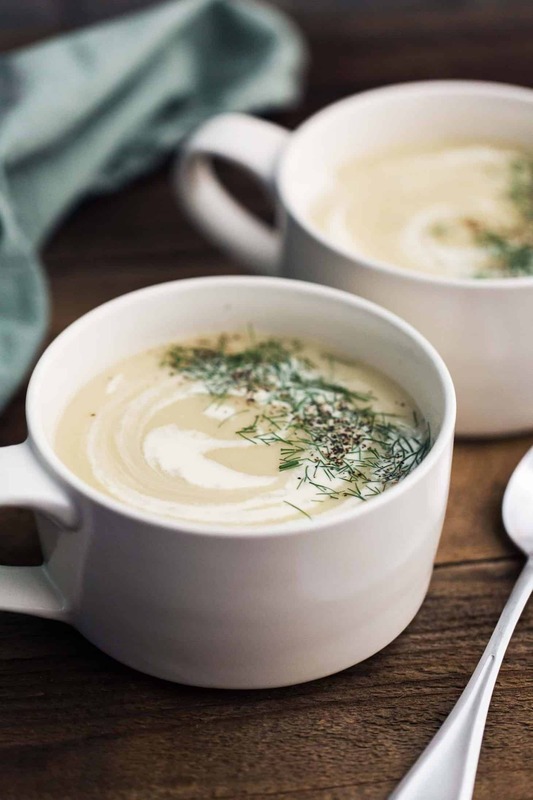 A beautiful winter/spring soup that uses the subtle flavor of sunchokes paired with fennel and potatoes. Juice half a lemon and set the juice aside. Place extra lemon juice and the squeezed lemon half in a bowl with water. Peel and cube the sunchokes. Place in a bowl with the lemon water. Peel and cube the potatoes, set aside. Heat a stock pot over medium-low heat. Add the olive oil followed by the shallots and fennel. Cook until both are translucent and fragrant, 5 to 6 minutes. Add in the minced garlic and cook for another minute or two. Stir in the sunchokes and potatoes followed by the water and salt. Bring to a boil, reduce to a simmer, cover, and cook until potatoes and sunchokes are tender, 10 minutes or so. Stir in the lemon juice. Carefully transfer the soup to a blender and puree until smooth. Add more water as needed to reach a soup consistency you like. Transfer the soup back to the pot and heat until warm. Add the cream right before serving. 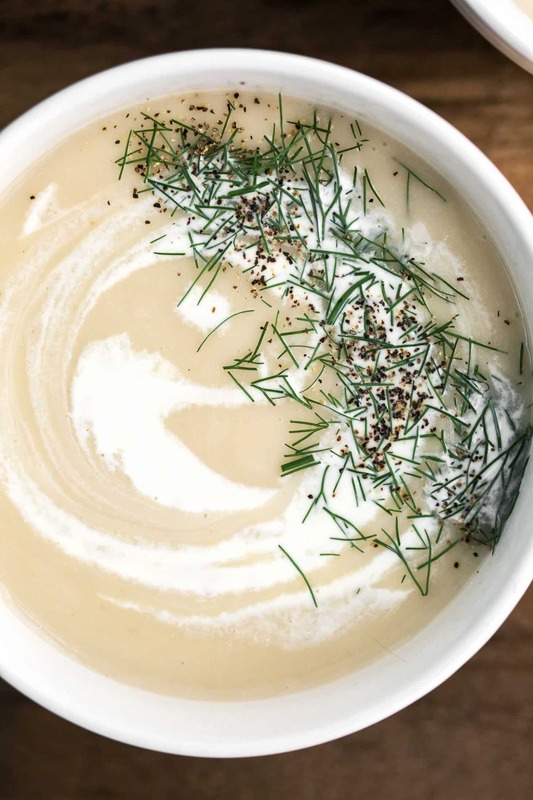 Divide the soup into two bowls and add a drizzle of cream and top with chopped fennel fronds and fresh cracked black pepper. It’s rare that I deviate too far from this recipe- it’s more about different toppings like adding a swirl of pesto or a sprinkle of toasted nuts. Sweet Potatoes: Use peeled and cubed sweet potatoes in place of the russet potatoes. The soup color won’t be the same but the flavor of the sweet potatoes is nice with the sunchokes and fennel. Parsley Pesto: If you’re looking for more of an herby punch, make a pesto using parsley/lemon and drizzle over the soup before serving. Hazelnuts: Another lovely topping: toast and chop hazelnuts before serving. I have tried it this weekend for my family gathering, it was delicious and everybody loved it, Thanks for sharing. Very tasty, velvety soup. And you are right about no need to use broth, it was so flavorful just using water. I added small amount of nutmeg. Thank you, love your recipes. Just made it today and loved it! Perfect rainy Sacramento weather for a night in with soup. 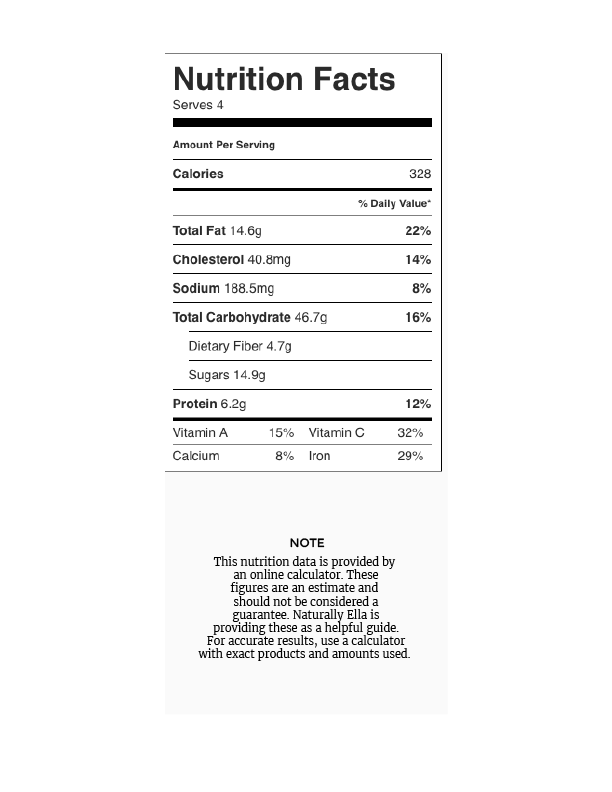 One thing I was unsure about… the 2 c. of water, was that supposed to be the lemon water that the sunchokes were soaked in? Or a fresh 2 c.? I used fresh water and dumped the lemon water because I wasn’t sure. Thanks.